I hope everyone had a wonderful Halloween! The snow couldn’t stop me from getting some treats of my own. As you already know, I love treats any day of the year and October 31st is no exception! I just can’t get enough of those sugary sweet delights! But with my affection for confections, I need to take good care of my old chompers! I had a recent checkup from my equine dentist friend to help prevent any dental dilemmas. 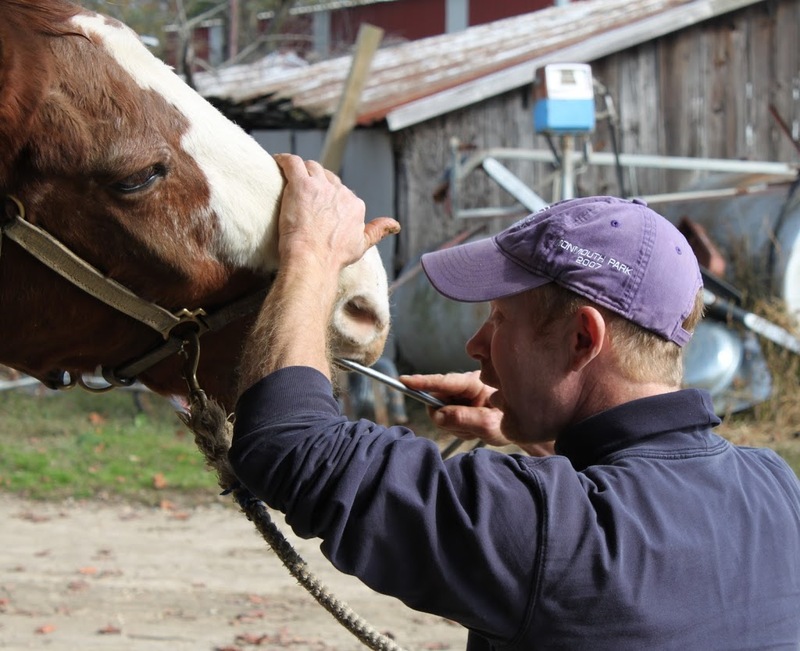 You may think that an equine dentist is a funny profession, but they are actually a very important part of keeping a horse healthy. Unlike humans however, horses’ teeth never stop growing. This may seem unusual, but it makes perfect sense; when horses used to roam the plains, much of their diets came from roughage. Under those circumstances, horses’ teeth would wear down naturally from constant grazing. However, since the horse has become domesticated, grazing is limited and the commercial feeds that are currently used to supplement the traditional forage diets of my ancestors do not cause the same wear on teeth. To help control tooth growth, horses have their teeth “floated”. If you aren’t familiar with the process, “floating teeth” sounds pretty peculiar, but what it really means is to smooth the surface of teeth with a file (called a “float”). Over time, sharp edges can develop on a horse’s molars which can make it painful to chew affecting health and sometimes performance when it comes to holding the bit. Floating the teeth ensures a smooth grinding surface so the horse can digest food more efficiently and remain comfortable. How often a horse needs its teeth floated varies, but it is a good idea to get them checked by an equine dentist at least once a year. Phew – I’m relieved that I don’t have to worry about brushing and flossing. Can you image how difficult that would be with my hooves?!? But sometimes I can get a little self-conscious, so if you see me, feel free to offer me a peppermint…I won’t be offended! In fact, I’m quite glad that one of my favorite sweets can also combat horse-breath! Thanks for the information. but i have seen lately this post. Thanks for the comment Daniel! 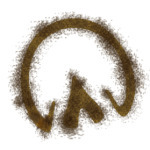 Stay tuned to the blog - I'll post a new message soon! Equine dentistry is a new term to me. I have read that horses' teeth grow continuously until some time between the ages of 25 and 30. Grass, their natural food, contains silica which is an abrasive and which constantly wears down the horse's teeth. And hence their dental care is very essential as humans' is. Glad I could introduce you to equine dentistry! You're absolutely right; dental care is very essential but is often overlooked, unfortunately. Thanks for your input, and stay tuned for more blog posts on horse health!